Valentine’s Day is around the corner and while most will be going out spending lots of money to eat over-priced set menus surrounded by other couples, I’ll probably be slobbing on the sofa with Steve. And what makes it even more perfect? Chocolate. I’m currently doing the 8 Week Challenge with Reform Training Nutrition Health, and I’ve been a little ‘off-plan’ this last week (read: ate loads of carbs, went over my calories most days). Valentine’s Day could be an excuse to fall off the wagon again, but no, I’ve whizzed up these little beauties which are gluten free, dairy free, vegan, egg free, wheat free, nut free and with ‘no nasties’. You could almost call them healthy! And they actually taste like real pudding. 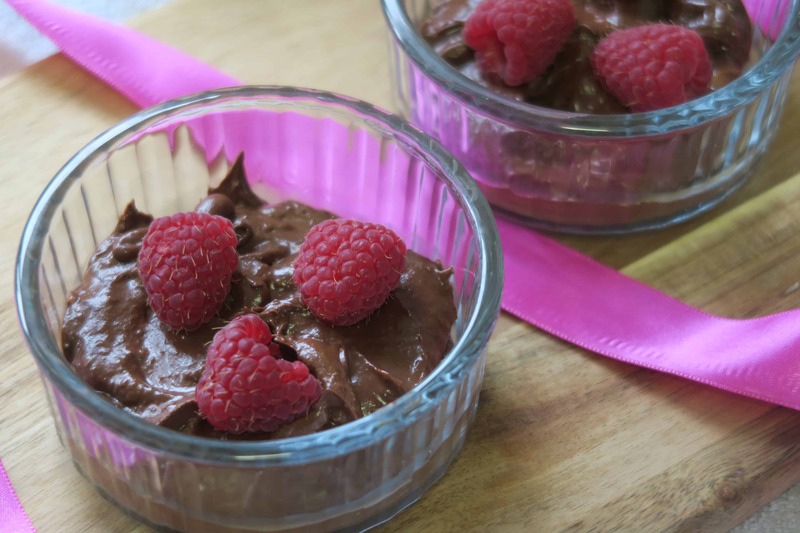 Avocado is perfect for making a mousse-like dessert. 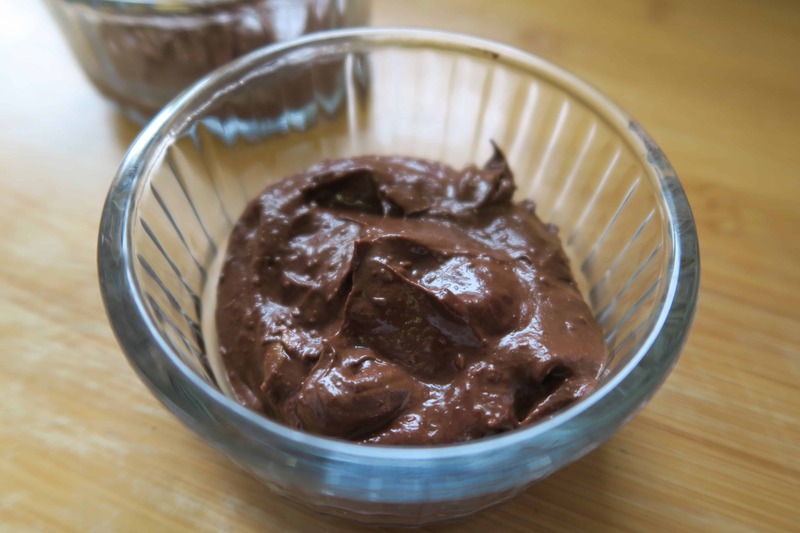 It blends to make a soft and silky base for a mousse, which when coupled with dark chocolate creates a decadent, rich mousse. I sweetened mine with vanilla extract and a little maple syrup, so apart from a small amount of sugar in the dark chocolate, there is no refined sugar in the ingredients. Because these are made with dark chocolate and avocado, they are high in fat (fat is good!!) but watch the calories – they may look small but a portion is around 300 cals, so remember that before you make four portions and eat them all! These little pots of chocolate yumminess don’t have any added preservatives or chemicals, so you can enjoy them safe in the knowledge they’re filled with natural ingredients. 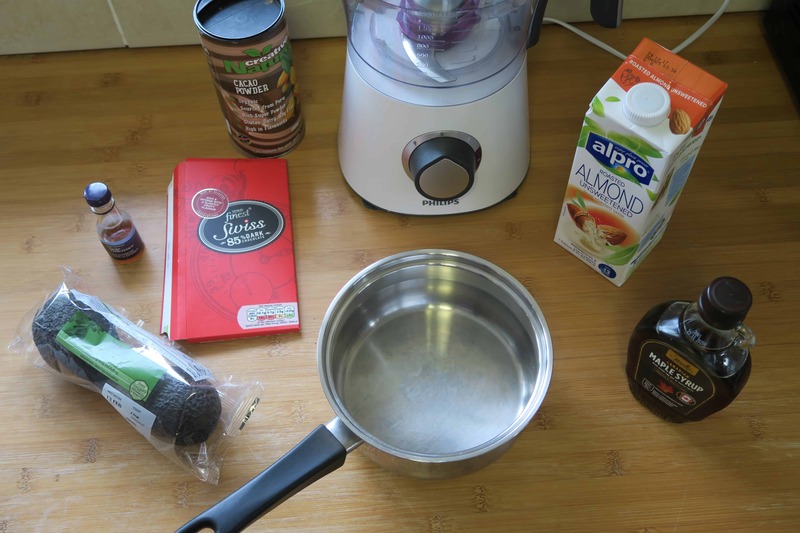 Using dark chocolate and almond milk makes them dairy free, and they are also vegan – though you could substitute the maple syrup for honey if you wanted a different/cheaper option. Side note: for those of you that haven’t tried shopping in Aldi, it’s worth a look. Maple syrup can set you back a fiver for a small bottle, but I got a big one in there for £2.50, and a carton of almond milk which looked as good as any other brand, for just 69p!! If you want to jazz these little pots up a bit, you could add anything. I went for raspberries as a healthy option, but you could go for any sort of berry, or perhaps some sliced banana drizzled with Sweet Freedom choc shot if you want to go for something extra sweet? However you enjoy these chocolate pots, they are so easy and I am hoping to come up with some new varieties very soon, so let me know if you have any requests! And wherever you are, whether you’re sharing this with someone special or scoffing the lot in your PJs watching re-runs of Gossip Girl, have a very Happy Valentine’s Day! Macros per serving (minus raspberries): 295 cals; 4.5g protein; 24.6g carbs (15.3g sugar) 20.9g fat. Break the dark chocolate up into a bowl. 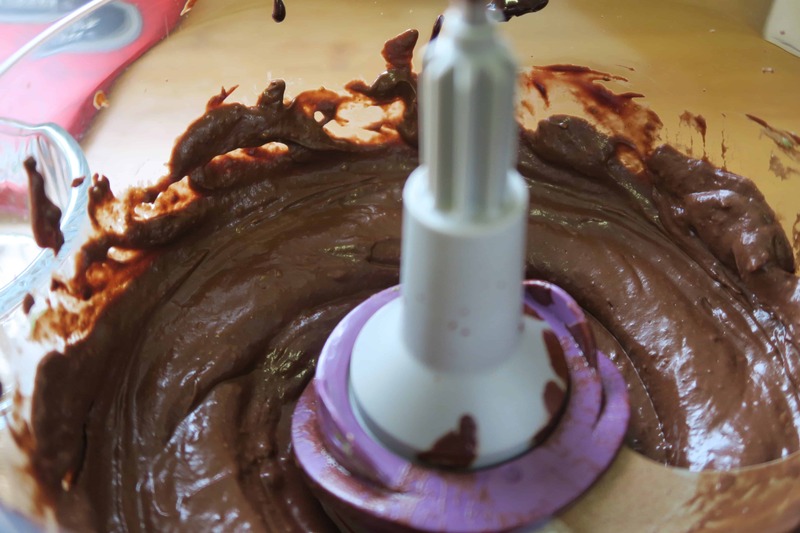 Place the bowl into a larger bowl or saucepan with a little, just-boiled water, and melt the chocolate slowly. Once melted, add the maple syrup, almond milk, vanilla extract, salt, and cacao. Stir well and remove the bowl from the heat. Halve the avocado, remove the stone and scoop the flesh into a food processor. Add the chocolate mix and blend well until mixed. 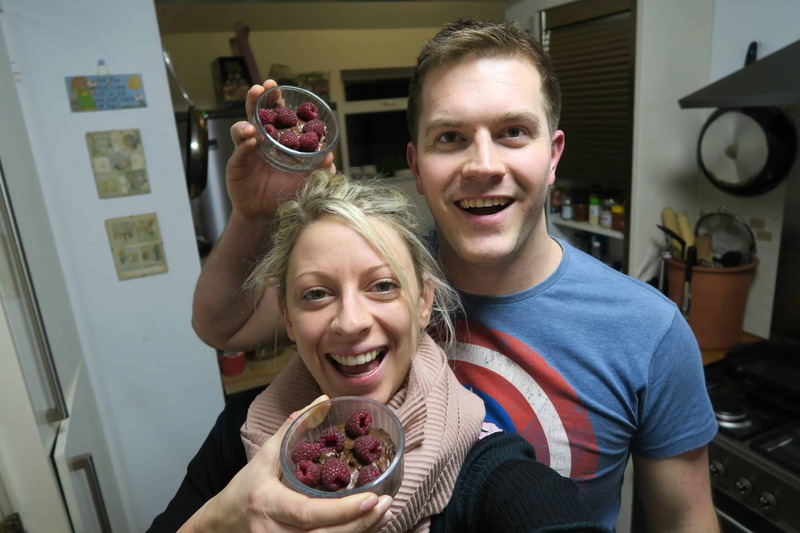 Portion into two bowls, top with some raspberries (or topping of your choice) and then chill in the fridge for a couple of hours. Enjoy with a nice glass of fizz! 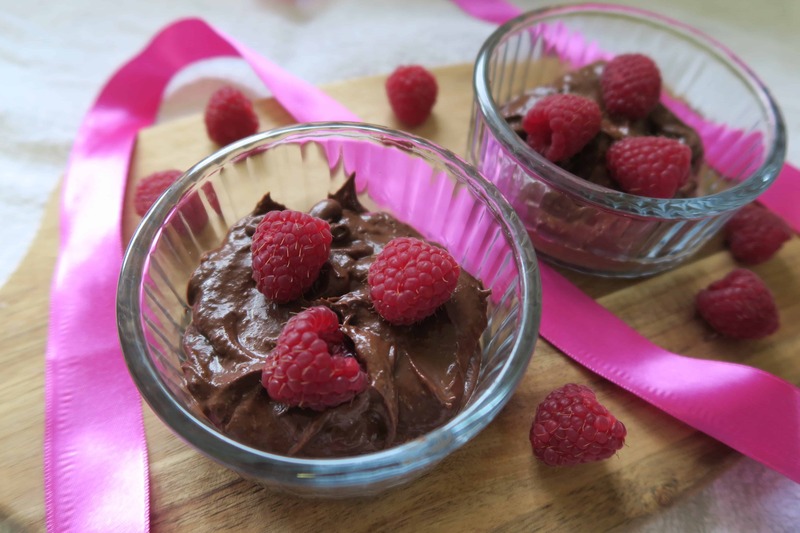 Simple – a decadent dessert which is actually packed with goodness and is so super easy to make! What will you be making this Valentine’s Day? 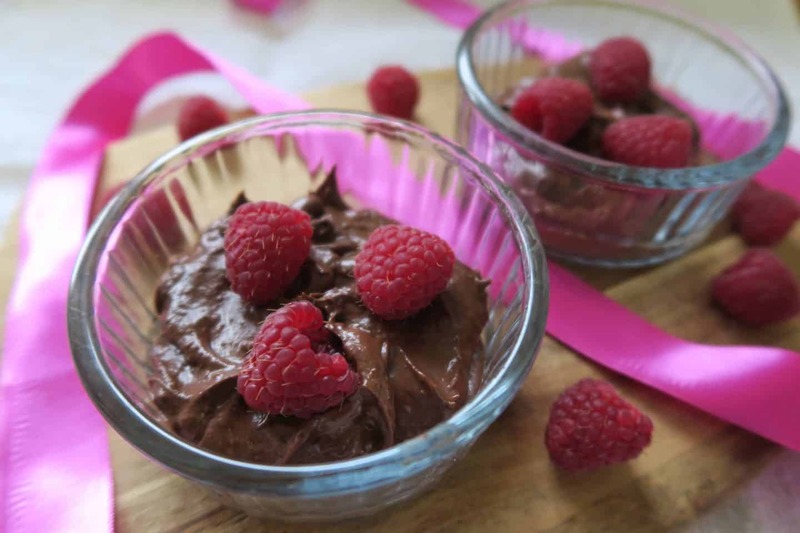 Have you got a delicious, healthy gluten free dessert you’re creating? 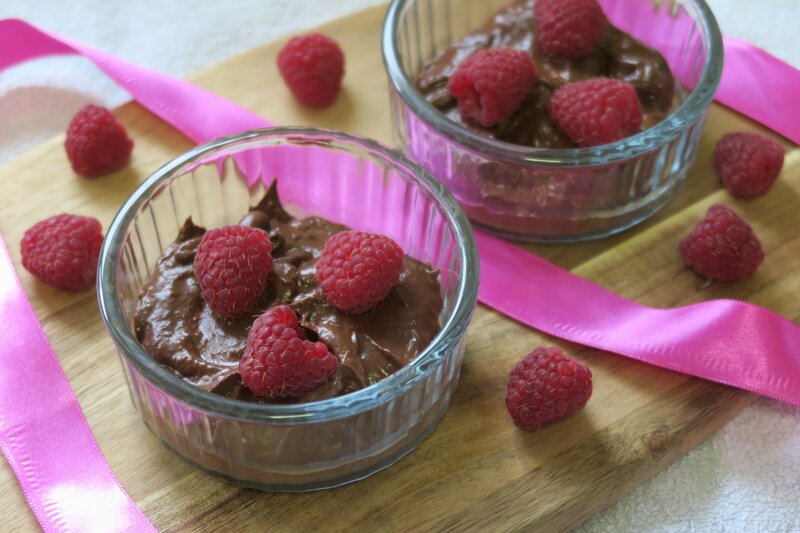 Comment below with your thoughts or if you make this mousse, share your pictures on my Facebook, Twitter or Instagram pages.